It was a pretty good week here on my end, with some wonderful weather here in Chicago (ok, maybe a little dreary, but temperature wise it was great!). The beginning of the week was pretty laid back, but once Thursday hit it was busy. Tuesday and Saturday I worked on getting my new Lunarglides broken in. I always feel like my effort level for an easy run goes up about 3x when I wearing new shoes. I have trouble getting the laces just right those first few runs, and something about the stiffness of the shoe makes something that should be an easy effort seem so much harder. Luckily, I found some other people on Twitter that have the same issues, so I didn't feel so bad. I also got a few new tips/tricks to try – like putting in your old insoles into the new shoes for a few runs until they are less stiff. I'll be trying that out this week. Thursday evening my husband and I went on our monthly wine tasting and dinner date. Friday night he met me in the city for Christkindlmarket (I discussed this in my Friday Five: Favorite Winter Activities, if you are interested in learning a little more about it). We got some delicious Gluehwein in cute souvenir mugs, then hit up Monk's for a drink and some loaded tater tots. Saturday I managed 3.47 miles on the treadmill at the gym, and then we had a wedding in the late afternoon (ceremony) and evening (reception). After a late night of dancing and fun, I got home and tried to get my race gear ready for the AM. After a chugging of some Hoist and a serving of RECOVERYbits, I went to bed at about 2 and had to be up around 6. Eeks. Sunday morning rolled around much quicker than I had liked. I dragged myself out of bed and got dressed for the Rudolph Ramble 8k in Lincoln Park. We did race day packet pickup (love when races have this feature!) since I was so busy at work/after work during the week. The hats were adorable, and we even got some fun foam antlers. I'll have more details when I recap the race, but it was fantastic weather and a well organized event - - super glad I decided to register for it. For now, you can check out my review on BibRave. I also had the chance to try out my GoPro for the first time (BibRave and Addaday partnered up to do a video series, and I was one of a select few Pros chosen to receive the GoPro for that reason). There are so many awesome features to try out, it will take me a while to get the hang of it all haha. I'll be working on editing a video for educational purposes. Anyway, after the race, my mom and I wandered around the zoo for a bit, headed back towards the direction of home, had some lunch, and then I spent the day doing laundry, a bit of work, cleaning, and laying on the couch. This week is going to be a VERY tough one. It's the LAST DOPEY SIMULATION, and it's pretty much the entire length of the races, minus a mile for most. It's mostly the last long runs before the race, too (I don't see 7 miles as being too horrible these days haha). I've got a maintenance run on Tuesday, then Thursday is a 3 mile run, Friday is 5, Saturday is 12, and Sunday is 26. I'll be honest with you – I'm not doing 26 on Sunday. I think I'll go between 22–24 depending on how I'm feeling. I've done up to 23 in training, and know that I can manage another 3.2 miles when at Disney. I think it's more important to stay healthy and injury free, so that's what I'll be focusing on most when I go out Sunday. I'm hoping for decent weather. Currently it's looking like it should be in the low 30s, which is good enough for me. Please send good vibes my way this week! Just a few shots of me with my Clif Bar products. Have you tried the Iced Gingerbread? Amazing. Something else exciting (is the Dopey simulation exciting?!... 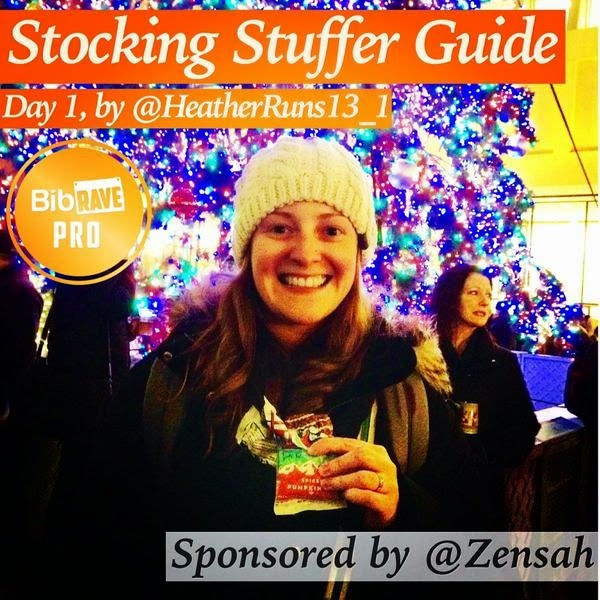 probably not haha) this week is that BibRave is doing a 5-day Stocking Stuffer Gift Guide sponsored by Zensah. Monday through Friday this week, they are featuring a BibRave Pro and one of their favorite running-related item. 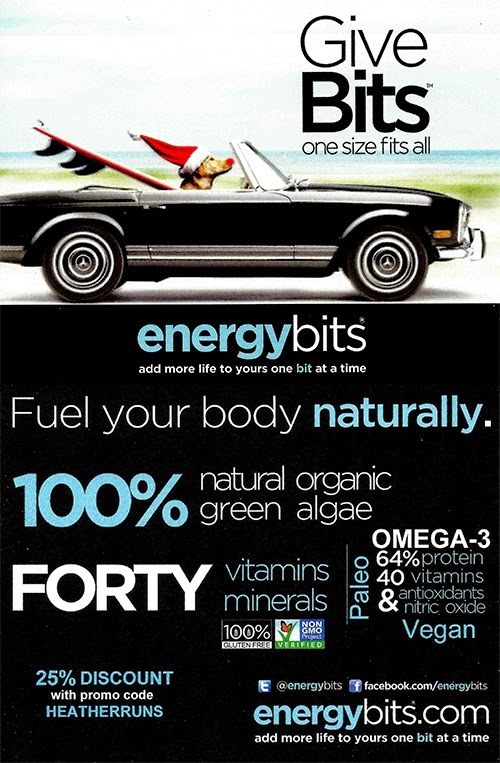 I was featured today for my favorite fuel – Clif Bars. Check it out on Twitter and Instagram, and keep an eye out each day for the new featured Pro :) On Friday I plan on doing a little review of the guide, so stay tuned! With the holiday season now upon us, the frantic search for the perfect gift has begun! 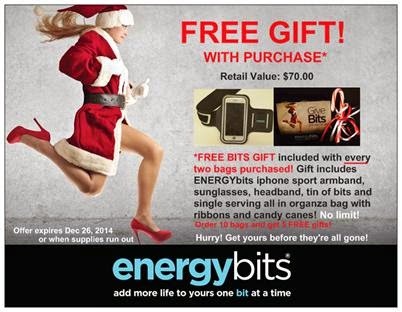 Why not "Give BITS as Gifts!"? 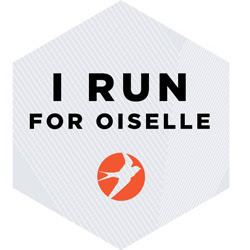 One size fits all, and many runners and athletes already have BITS on their Holiday Wish List! BITS come in attractive organza bags so they don’t even need to be wrapped! Everyone loves them -- and what’s not to love?! They’re vegan, Paleo, plant-based, healthy and provide clean energy! They are currently running two amazing promotions. One is a free gift with purchase. For every two bags of bits you purchase between now and December 26, you will receive a gift that has a retail value of $70! There is no limit on the number of gifts, so if you order 10 bags, you will receive 5 gifts! 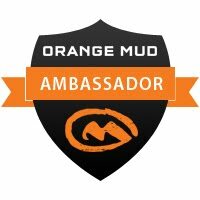 The second prmotion is $5 shipping for the next 5 days (USA orders only). 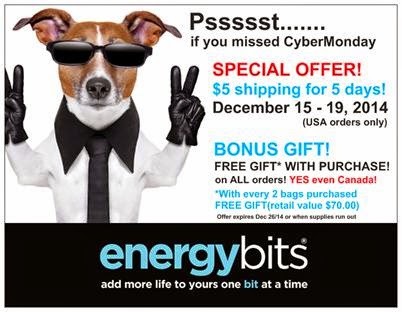 This promotion began today, December 15, and expires midnight of December 19 (EST). There is no limit on the number of bags you can order. One bag or one hundred bags, all ship for the same price of $5. Those mugs are so cute. You're almost there - great week Heather!